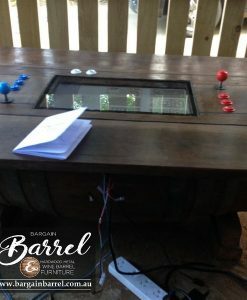 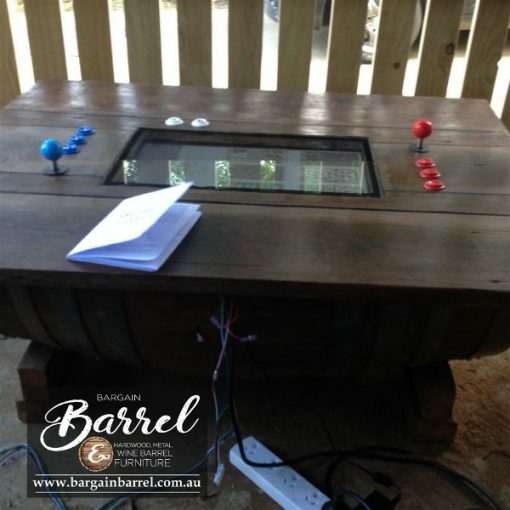 Our signature Arcade Barrel takes you right back to the 80’s with 60 original arcade games ready for 1 or 2 players. 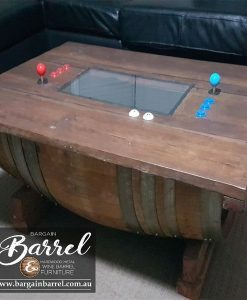 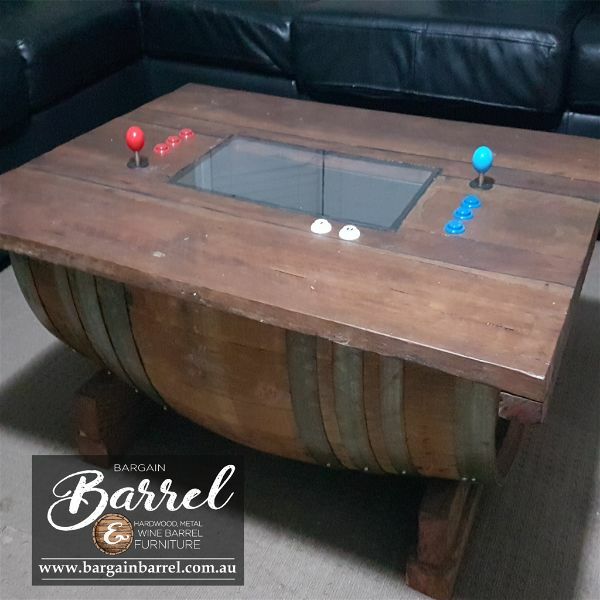 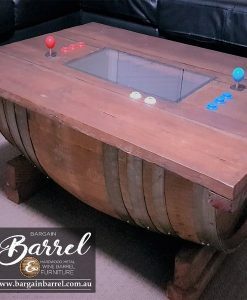 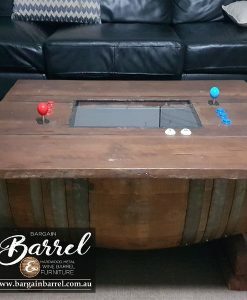 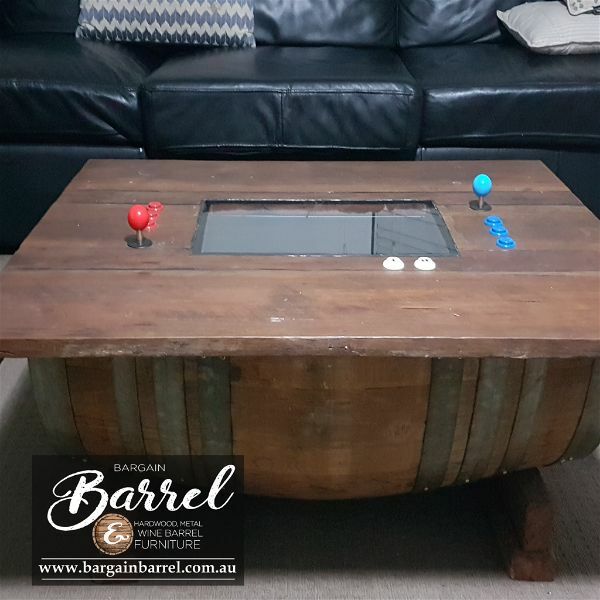 Sitting on top of a half barrel is a recyclable hardwood top at a perfect height to play or to use as a house hold table. There is plenty of storage inside underneath the handcrafted hinged bench top. 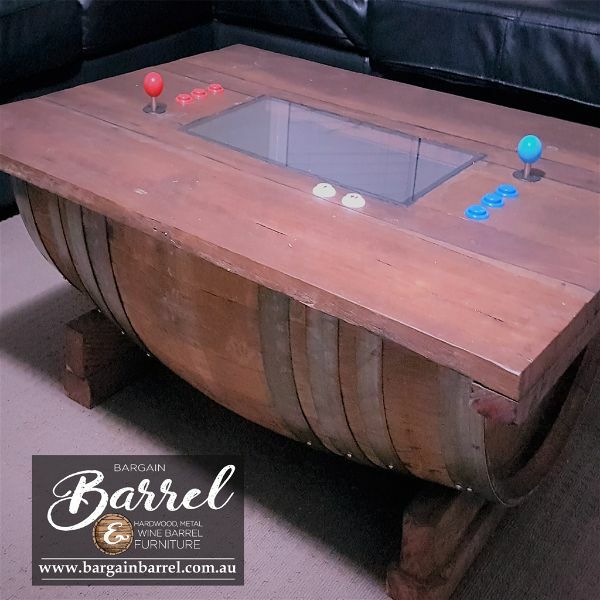 Our Arcade Barrel sits on two legs to support the curved barrel providing a solid quality furniture piece finished in natural decking oil to maintain an overall consistent look of character.